I saw an interesting presentation yesterday about the demand for housing. 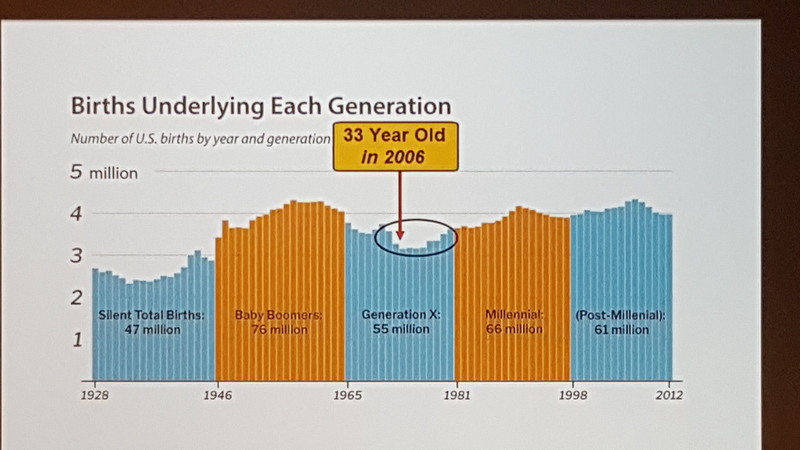 They noted that household formation begins later in life, usually when people reach their 30s. In the last downturn, it didn’t help that the population growth of those in their early-30s has slowed, and they attributed the birth rate going flat in the graph above to Roe vs. Wade in 1973. 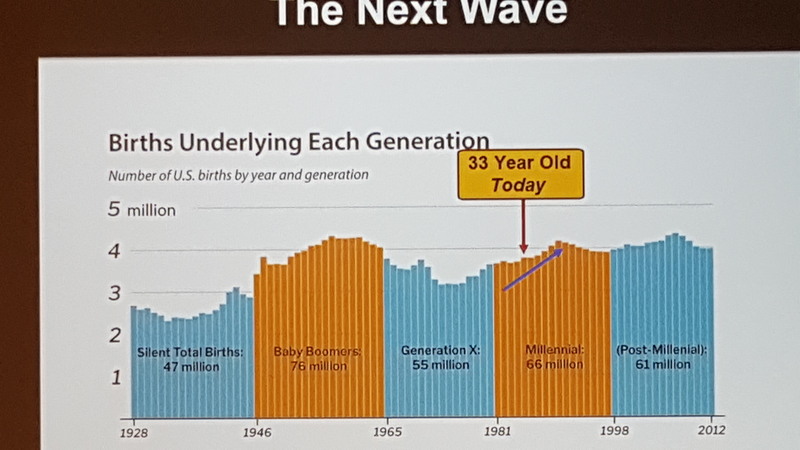 Voila, we should have more potential home buyers reaching their household-formation age, and want to become homeowners! Hopefully they can all find good-paying jobs to make it affordable, or the Bank of Mom and Dad swoops in with a big down payment! Bank of Mom and Dad won’t be so loose with the cash once cuts and/or means testing for social security are announced. Interest on the national debt will eclipse the defense budget within 5-7 years. That’s when the wheels fall off. Interest on the national debt will eclipse the defense budget within 5-7 years. That’s when the wheels fall off. Trump is the Master of Bankruptcy. Maybe he will default on debt held by foreigners to save his job? The “independent” Fed will serve as handmaiden to the Treasury and will print all that’s necessary to keep the game going. Under QE, they buy the debt and give the interest directly back to the Treasury — and they’ll do it again if necessary! Buy real assets — and get good help! For the average joe, dealing in a bank’s fiat currency is like letting “Otter” borrow your Lincoln. It won’t end up well. However, after all is said and done, if you have anything left, he won’t abandon you. He’ll even try to cheer you up. Give you a little hope, but ultimately… you’ll just have to accept what happens to the Lincoln.